Welcome to Team Tuesday! For today's project I am excited to share a little bit of spring with you. We have already seen spring like weather making an appearance here in Texas so the flowers that are already blooming in my yard gave me inspiration for this cute spring canvas. 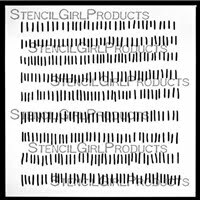 To get started you will need the following stencils from StencilGirl. I started with a pre-gessoed 8x10 inch burlap canvas that I purchased at Hobby Lobby. I loosely scraped blue for the sky and green for the grass over the gessoed canvas leaving some of the white gesso showing. I love the texture of the gessoed burlap canvas. I then dropped some small dots of acrylic ink on the top of the canvas. I wanted to add some color variation to the blue sky. While the acrylic ink was still wet I took a key card and scraped the ink down the canvas to make blue streaks. If your paint or ink is not moving enough you can spritz it with a little water. To add even more texture and interest to the sky background I used Carolyn's Rembrandt Word stencil and some white gesso to the sky. I randomly stenciled the words and wasn't worried about them being too perfect. Here's what the words looked like after stenciling. I love just the hint of text! Moving down to the green I wanted to give the illusion or hint of grass blades. Mary Beth's Hashmark stencil was perfect for this! Here's what the hashmarks looked like after I finished. I overlapped them in places and did lighter paint in some areas. Time to add the flowers! Using Terri's Bold Flowers stencil I started building my little garden. 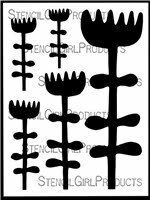 Here's all the stems stenciled. Now for the flowers. I stenciled two colors on the flowers to give it a little variation and interest. Here are all the flowers stenciled. To add some detail and interest I sketched around the flowers and stems with a Prismacolor Ebony pencil. To add even more detail I used a white signo gel pen to add hints of white. And here's the finished piece! Cute and simple and the perfect accent for your spring and Easter decor! 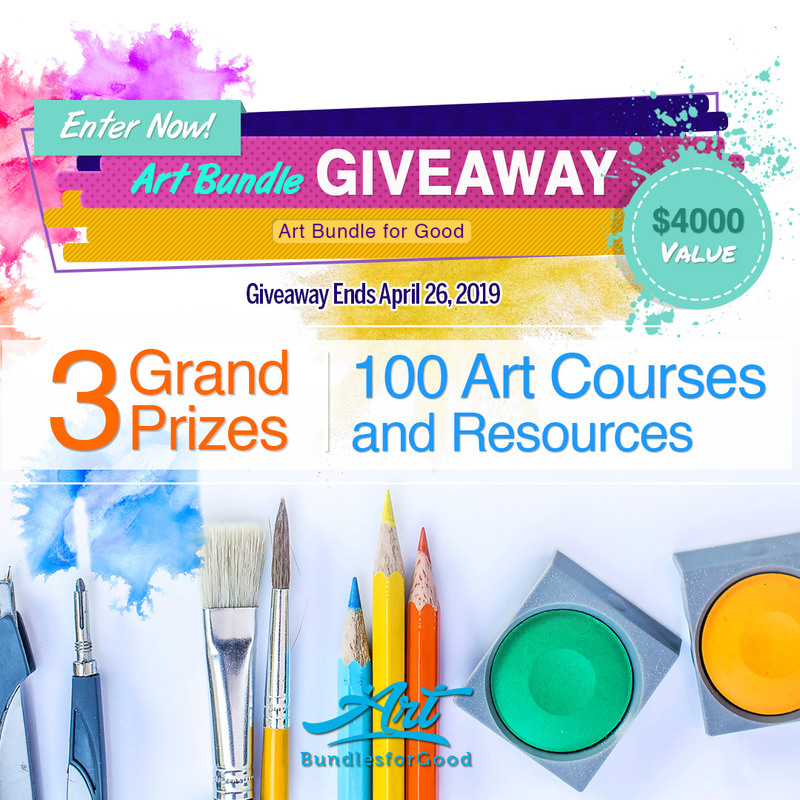 I hope you all enjoyed this spring-themed project and will give it a try! 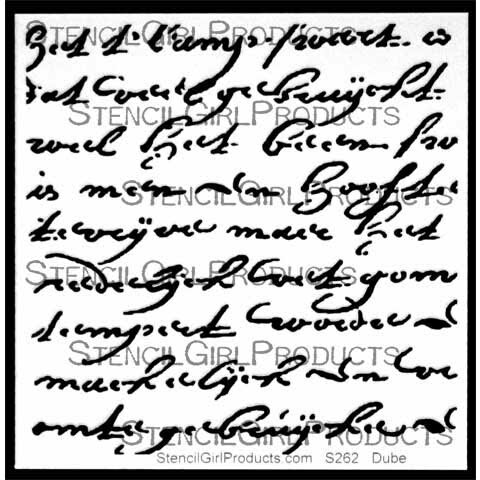 Thank you so much for stopping by and for being a part of the StencilGirl community! P.S. Stop by and see me anytime at JunqueArt.com.